Podcasts are becoming an increasingly popular trend, and have topics all over the board. But did you know there’s an entire sector of podcasts dedicated to pregnancy? 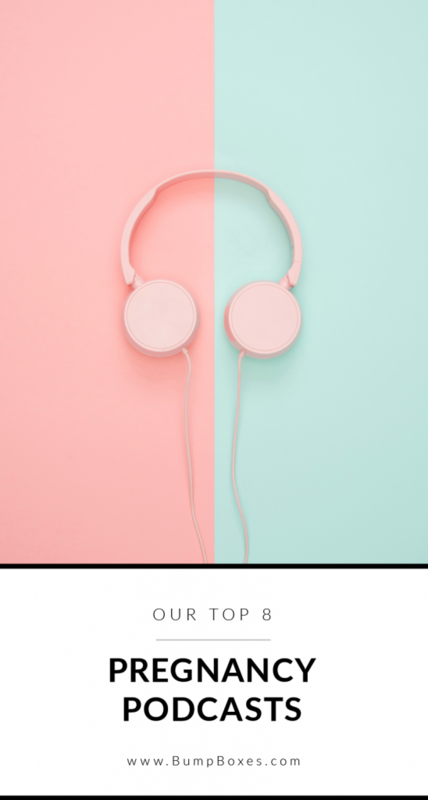 This is your lucky day, mama, because not only are there, but we’re breaking down the top 8 pregnancy podcasts for you….perfect for that morning commute! Pregnancy Confidential: This podcast is a mama favorite–with 32 podcasts, it’s loaded with information for new and not-new mamas! It’s hosted by editors from Parents, Fit Pregnancy, and Baby magazines, and each podcast runs for about 10-20 minutes, allowing for quick intake! Each podcast is tailored to a week of pregnancy, and will walk you through the physical, emotional, and lifestyle markers of that week. The conversational tone makes it feel like you’re chatting with your BFF! Preggie Pals: Another podcast that will make you feel like you’re taking your gal pals with you is Preggie Pals! This podcast features a panel of women–coming from all walks of life, thoughts on pregnancy, and birth–giving you a well-rounded insight into pregnancy and motherhood! This podcast is intended to educate future and current mamas on pursuing their individual choices toward birthing and parenting. Pea in the Podcast: Okay, so we might have really loved this one just for the name! But it offers some seriously great insight for mamas–from other moms-to-be, midwives, doctors, doulas, and authors–so you can feel good about the information you’re receiving! Not only does it dive into pregnancy week by week, but also offers the latest news and information making sure you’re as prepared for pregnancy as possible! PregTastic: PregTastic isn’t here to sugarcoat, mama! They have the same concerns and swollen feet as you, so the experts and other mamas on this podcast are here to tell it like it is. We love that it’s weekly (endless entertainment!) and combines expert advice with friendly attitudes. Baby in Bloom: Where are our first time mamas? This podcast is specifically geared toward you! You’ll receive endless tops and advice, while also learning to cut through the difference in pregnancy facts and myths, setting you up for your best pregnancy! You might even forget that this is your first rodeo! Rockstar Birth Radio: We love this podcast and Shalome Stone! Shalome uses her podcast platform to encourage mamas to absolutely rock their birth experience–no fear, no pressure. She shares her birthing wisdom and powerful birth stories to inspire and empower. #GIRLPOWER indeed! 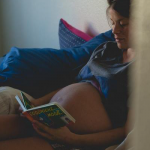 Birthful: Mamas, being pregnant is hard–not only is it hard on your body, but it can be hard hearing everyone’s opinion on what you should and shouldn’t be doing. Not only that, but how do you know what’s right? Adriana Lozada created the Birthful podcast to help mamas with exactly that. She brings in birth and postpartum experts to help you weed through the crap and focus on what matters! You can breathe a little easier with this team on your side. 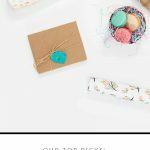 Did your favorite pregnancy podcasts make the list? Let us know in the comments here or on Facebook if we missed any!